In the wake of all the uncertainty surrounding Brexit, it’s positive news (especially for jobseekers). 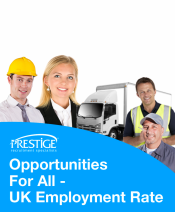 In this post, we take a look at the record-braking figures, and what this news means for both employers and jobseekers across the UK. It’s exciting times at our Hull offices – the streets outside have been turned into a major film set! Bowlalley Lane has been transformed into a traditional Victorian street, as filming starts this week for the upcoming British blockbuster, The Personal Life of David Copperfield. 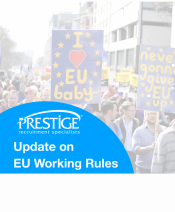 This month, we’ve got some reassuring news for EU citizens living and working in the UK. In mid-June, Home Secretary Sajid Javid wrote an open letter to EU citizens, outlining the developments of a new online service they will need to use to apply for settled status. Here’s what it laid out. 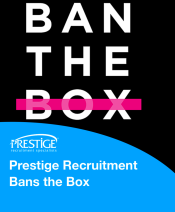 Whether you are looking for a job or in need of candidates, it pays to have the support of a recruitment firm that shares your values. Brexit is fast approaching, infact it’s now less than 10 months away! On 29th March 2019, Britain leaves the EU which will have a big impact on businesses across the UK that currently employ EU citizens. Following one of the coldest, wettest winters on record, we’ve just enjoyed an extended May heatwave with record temperatures of up to 29°C in some places! 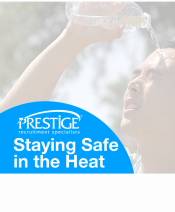 As summer approaches and the numbers of seasonal and outdoor workers increase, we take a look at the risks, rules, rights and responsibilities related to keeping outdoor workers safe when the temperature rises. 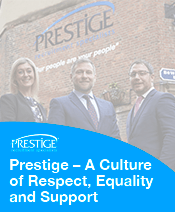 Prestige Recruitment Team Up for Hull 10K! 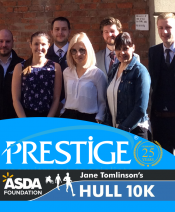 10 budding runners from Prestige Recruitment Specialists are busy gearing up for next month’s Jane Tomlinson’s Run For All Hull 10k. Although it should be unthinkable in 2018, modern slavery and human trafficking is happening right now, across the country. In the UK, current estimates from the National Crime Agency (NCA) put the number of victims in the tens of thousands. The new financial year is approaching fast. 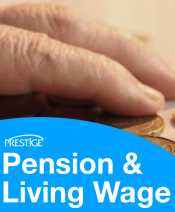 This April, we’re seeing some big changes to the law with regards to both minimum wages and auto-enrollment pension contributions, that will impact on businesses across the UK.